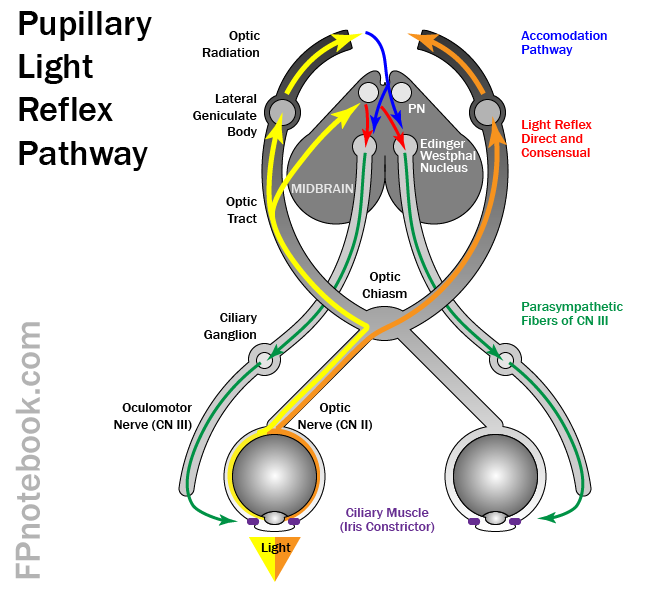 Definition (FMA) Nerve trunk which is continuous with the retina and the optic chiasm. Definition (NCI) The second cranial nerve. Definition (NCI_NCI-GLOSS) The nerve that carries messages from the retina to the brain. Definition (MSH) The 2nd cranial nerve which conveys visual information from the RETINA to the brain. The nerve carries the axons of the RETINAL GANGLION CELLS which sort at the OPTIC CHIASM and continue via the OPTIC TRACTS to the brain. The largest projection is to the lateral geniculate nuclei; other targets include the SUPERIOR COLLICULI and the SUPRACHIASMATIC NUCLEI. Though known as the second cranial nerve, it is considered part of the CENTRAL NERVOUS SYSTEM. 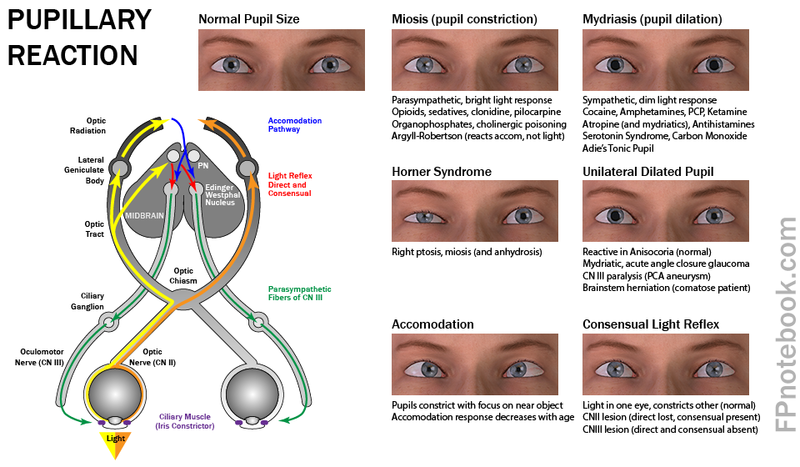 Definition (CSP) second cranial nerve; conveys visual information from the retina to the brain; carries the axons of the retinal ganglion cells which sort at the optic chiasm and continue via the optic tracts to the brain; the largest projection is to the lateral geniculate nuclei; other important targets include the superior colliculi and the suprachiasmatic nuclei; though known as the second cranial nerve, it is considered part of the central nervous system.